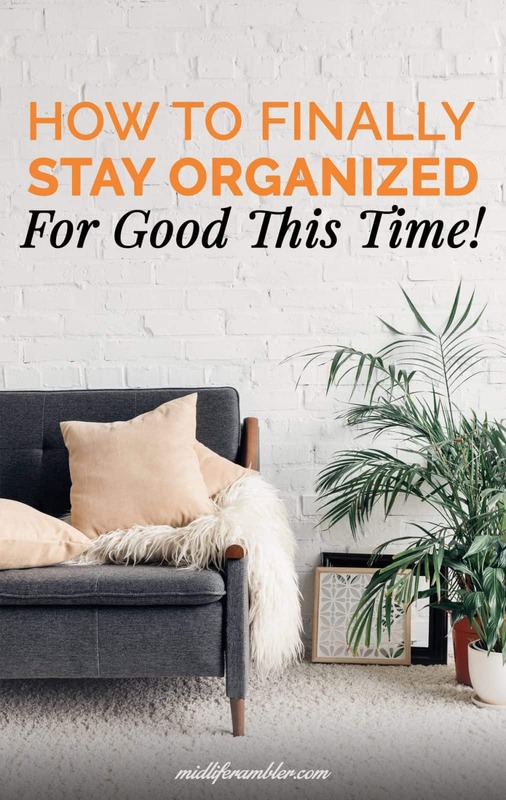 Your big reorganization is complete and you’re loving how neat and tidy your house feels. But how can you keep from backsliding into your old habits this time? Let’s investigate some of the reasons why you might have a hard time staying organized and talk about how to get past the barriers that have held you back in the past. So my massive kitchen reorganization inspired by Marie Kondo’s The Life-Changing Magic of Tidying Up is done at last. The pantry is neat and tidy, the cupboards have a place for everything and everything is in its place, and I can actually find what I’m looking for when I open my kitchen drawers. How long will it last? Well, Marie Kondo says if I followed her method correctly, my kitchen will remain organized forever. However, if we believe the old adage that past behavior predicts future performance, then I’ve got a couple of months before everything is back to its old disorganized state. But this time, I’m more hopeful that I can keep things going. Evaluating everything in my kitchen also gave me time to evaluate myself and by doing so, I came up with a few reasons why I have a hard time staying on track and what I can do to overcome these tendencies. Perhaps a few will resonate with you. I sure did. At heart, I still feel like the mom of three young children and I still buy as if I need to cook for a family every night. There’s just no need for me to keep this much stuff on hand. It’s time to simplify and buy according to my actual living situation. If my kids come over unexpectedly at dinnertime (and sometimes they do), we will order pizza. My pantry contents also contain some other clues about why it can be hard for me to be organized. Have you met Imaginary Katy? She is the most amazing person. She’s a gourmet cook who makes her own bread with whole wheat bread flour that she bought in 2014. She alway has expired yeast on hand. She wakes her large family with homemade muffins. When it snows in Atlanta, which it rarely does, she always bakes cupcakes! I like to buy things for Imaginary Katy because it makes me happy to have her around. Only the problem is – and I know you’re way ahead of me here – Imaginary Katy doesn’t exist. In real life, I rarely have time to bake and when I do it’s never an impulse project where I go into the pantry and cook up something fabulous with whatever’s around. In the end, the things I buy for Imaginary Katy bring me joy only when I finally get rid of them during a reorganization purge. Imaginary Katy is costing me too much money and physical space and so I need to stop buying things for her. Multiple boxes of broth? Multiple cans of tomatoes? That’s because I walked by that section in the grocery store and thought, “Do I need this? I don’t know. I’ll go ahead and buy some.” It’s ok to intentionally stock up if there’s a great sale and there’s space available, but from now on, I live and die by the power of the list. I use the app Grocery IQ on my phone and it’s a simple matter to notice when we’re running low on something like broth or tomatoes (both of which I actually do use a lot and so like to keep on hand) and make a note then and there. If there’s no note, there’s no need to buy. I became so aware during this whole reorganization effort of how many times I would get a glass out of the cupboard and walk away without closing the door. That’s a basic part of living in a house! And yet, I would be so distracted with my thoughts that I would forget. This may be the hardest thing for me to change because I tend to live in my head, but I’m making a big effort to be more present in life and to pay attention to what I’m doing. 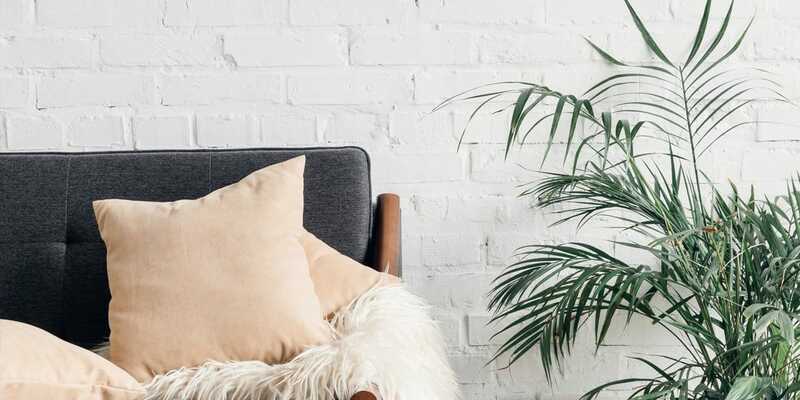 This means remembering where things belong and taking the time to return items to their proper home rather than mindlessly moving on to the next task. I’m putting the dishes away while my favorite show is on and I want to get back to the action. The pan I’m holding belongs in the cabinet five feet away. Or I could turn to my immediate left and cram the pan into the already overflowing cabinet next to me and get to my show 10 seconds faster. What should I do? I know what I would have done in the past and those types of decisions have not served me well. In the future, I’ll take the 10 seconds and put the pan away in its correct space. So those are my weaknesses and my plan for overcoming each of them. I’ve read before that greatest success comes from anticipating where you might fail and creating a strategy to overcome your weak spots before the situation arises. This is certainly the first time I’ve undertaken any time of reorganization project and given any thought at all to maintenance so I’m hopeful. What are your weak spots when it comes to organization and how do you overcome them? I’d love to hear from you. Lol! Imaginary Katy must be friends with imaginary Lori. Yes I expect she has a lot of friends. She’s also outgoing and fun at parties. Thanks for stopping by Lori! Oh, Imaginary Katy. That sounds familiar. She’s the one who tells me not to buy canned soup because it’s so much better to make it from scratch. So then I get supplies that go rotten before they turn into soup. Good luck quieting that voice! Yes we all have a voice inside us telling us what we could be. The key, I think, is to listen in moderation. We do want to always do better but we don’t have to always be perfect. “You buy things for imaginary Katy” Oh that made me laught because it is so familiar! Thankfully I don’t do this as much but it really WAS me back in the day! “Martha Stewart” wannabe! Being aware is the first step. I’ll be listening to her much less in the future. I can relate. I have way to much in my pantry but not much of it is food. When my husband built my pantry he ask me when I was going to the store to fill it up. I told him it is for kitchen stuff and candles we eat fresh food why would I buy cans and boxes just to put in the pantry. He wasn’t happy. However I do need to clean it out. Great post! That is actually my long term plan for that space Sherry – once I get the food down I’d like to store some other things in there and get rid of still more furniture. You gave me some motivation! Love this. Best of luck to you with getting organized. I have an imaginary Katy, too. I just bought rice flour for her. Oh rice flour sounds wonderful. I hope you really make something with it! Thanks for the giggles today! I can so relate to imaginary Katy. LOL I’m laughing at the expired yeast. I think imaginary Carolann always has aspirations of using it and keeps buying it and letting it expire! I always have that same issue. I think many of us are relating to this post! I hope I’m not alone! But I am going to do better. I’ll post a success story in six months! I love your closet! Oh boy. Since our house has been up for sale we’ve been cleaning out drawers and closets like crazy! I can’t believe how much stuff we accumulated when I swore I wouldn’t do that. I need to get an organizational plan like you, Katy! Yeah it’s amazing how much stuff we accumulate even in a short period of time. I’m hopeful my vigilance will help me keep on top of it in the future. I’m a bit of a neat freak, so most of my stuff is organized but there is always the dusty can or two in the pantry that I bought when I was planning some meal or other that never got made. Your pantry looks lovely so you must be doing something right! Thanks Leanne I’m working on it! Oh, Katy, this had me nodding in recognition (and chuckling) all the way through! I haven’t yet tackled the pantry, but will be remembering #2, #3 and #4 when I do! Thanks for holding up the mirror! I’ve been so gratified to see that so many people see themselves in this. Looking at my office today I see it’s time to turn my attention here as well! Very funny! Glad to see others have imaginary versions of themselves as well! Best of luck with keeping organized! Thanks Shari! So far so good! Oh my gosh I love this! And I suspect the grocery list app may be LIFE CHANGING! Therefore, thanks for that! Imaginary Katy appears to have been to our house as well. She gets around considering all that artisinal baking she has to do. The grocery list app is life changing. I actually use it a lot already, I just deviate from it too often. So glad to see Imaginary Katy is so popular! I don’t have imaginary katy, but i do have “Kate’s World.” According to Kate’s World, you always need more canned tomatoes, and I’ll take your expired flour, and raise you a bag of Flax Seed that’s 7 years old! Ugh! I shop for imaginary Katy, too! My biggest problems are 1 and 4. I need to get it under control though. Thanks for playing The Pinterest Game. It’s a process! Thanks so much for stopping by! I’m so glad to hear I’m not the only one!! !